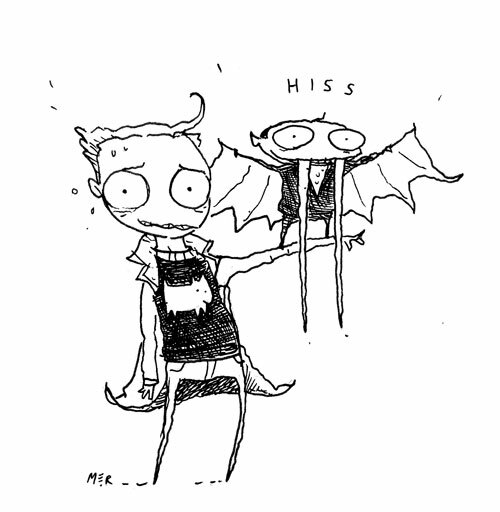 In January 2011 I sketched a vampire with giant fangs while I was waiting for a movie to start. Dylan dared me to turn it into a series. And so here we are. You can check out my other work here. Store: You can buy books and t-shirts here. Book orders go out right away. T-shirt orders are collected, printed and mailed once a month.